At this time a year ago, the Phoenix Coyotes were preparing for a season after making the Stanley Cup Playoffs but losing arguably their most valuable player. But instead of taking a step back without goaltender Ilya Bryzgalov, all the Coyotes did was produce the most successful season in franchise history. Despite sitting in ninth place in the Western Conference after the games played on March 29, the Coyotes rattled off five straight victories to close the regular season and capture the first division title in the franchise’s 32-year NHL history. The winning didn’t stop there. The Coyotes won a playoff series for the first time since moving to the desert in 1996 and doubled the organization’s playoff series win total before losing to the eventual champs, the Los Angeles Kings, in the Western Conference Finals. Despite their unprecedented success, it has been another unsettled offseason for the Coyotes. The ownership situation is still not determined, and the specter of losing another marquee player looms. 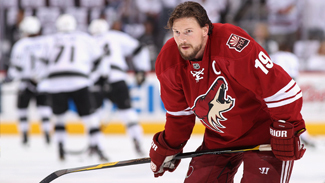 Captain Shane Doan, the final player remaining from the team that moved to Phoenix from Winnipeg in 1996, is an unrestricted free agent. 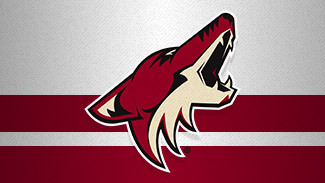 He and his agent, Terry Bross, have said Doan would like to stay in Arizona with the Coyotes, but they have been waiting to see if the sale of the franchise to a group led by Greg Jamison can be completed. Bross told Sarah McLellan of the Arizona Republic that a deadline is forthcoming. "Shane is going to sign a contract before the CBA (Collective Bargaining Agreement) expires on the [Sept.] 15th," Bross told McLellan. "[Ownership has to] be done before the 15th, otherwise we're signing somewhere because we don't know what the new CBA is going to look like, and I don't know if it's going to limit any scope of a contract, so we want to make sure we sign before then. When Bryzgalov left for the Philadelphia Flyers, pundits predicted a precipitous fall for Phoenix, but it didn’t happen. Mike Smith proved one of the best signings of the summer, giving the Coyotes a near-Vezina Trophy finalist performance for $2 million. Given Doan’s importance in the dressing room and his status as the face of the franchise, he’d probably be a little tougher to replace -- not to mention the timing and what would be left on the free-agent market. Doan was third on the team last season with 50 points -- but even if he stays, Phoenix’s leading scorer has already joined another club. Ray Whitney had a fantastic season, finishing with 24 goals and 77 points, but the 40-year-old opted to sign with the Dallas Stars after they offered him a two-year contract. The Coyotes did move for a replacement, inking Steve Sullivan, who had 17 goals and 48 points for the Pittsburgh Penguins, to a one-year pact. They also signed David Moss, who had a down year with the Calgary Flames, to a two-year contract, and added Nick Johnson on a two-way deal although he should be a favorite to land a roster spot. Depending on Doan’s decision, the rest of the forward corps is intact, and a full season of Antoine Vermette in the middle could help mitigate any drop in production from Whitney to Sullivan. Vermette was one of Phoenix’s best players during the playoff run. Veteran defensemen Michal Rozsival and Kurt Sauer were not retained, but general manager Don Maloney took advantage of Pittsburgh’s desire to shed salary at the NHL Draft and traded for Zbynek Michalek, who had played for the franchise before signing with the Penguins two years ago. Adding Michalek strengthens what is already a big positive for the Coyotes. In Michalek and Rostislav Klesla the Coyotes have veteran, defense-first guys on the blue line. In Oliver Ekman-Larsson and Keith Yandle, they have two young, offensively gifted stars at the position -- and in kids David Rundblad, Brandon Gormley and Connor Murphy, the Coyotes have another wave of talent to bolster a strong group in the near future. Smith returns after his breakout season, and Jason LaBarbera remains his backup. Any thought the Coyotes would struggle without Bryzgalov was quickly put to rest by Smith, and he was significantly better in the postseason than the departed astronomy enthusiast had been in two first-round defeats. The biggest reason for optimism in the desert is the most important person for the Coyotes is still there. After guiding a team with one of the lowest payrolls in the League to playoff berths in three consecutive seasons and now a trip to the conference finals, Dave Tippett has proven he’s one of the elite coaches in the NHL. He has helped Phoenix withstand roster losses and deal with distractions -- and, most importantly, figure out a way to outperform outside expectations. He’s been the perfect guy to keep the team focus regardless of what is going on around them or who isn’t sitting next to them. "Certainly getting stable ownership would push the organization forward, but my position is to take steps forward on the ice," Tippett told NHL.com last week. "We made strides last year, but you've gotta find ways to continue to push that ahead. It's no different than other summers, but when you do take big steps like we did last year it would be nice to use that momentum going into this season.